Stargazers around the world are setting up special telescopes and passing out cardboard eclipse glasses to view the historic celestial happening of Venus passing in front of the sun. 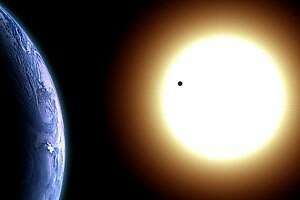 At its heart, the spectacular show in the heavens is simple — Venus will cross paths between the sun and the Earth, and Earthlings will see a tiny dot floating across the surface of the sun over several hours. The planetary spectacle that won't occur again until 2117, won't be enough to significantly block the sun's light (like the awe-inspiring total solar eclipse which sweeps a shadow across the Earth), but you don't want to miss the exquisite opportunity to view one of the rarest planetary alignments happening tonight known at the Transit of Venus. 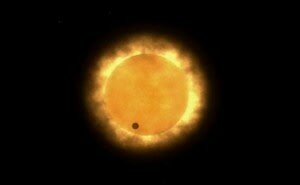 The transit is happening over the course of 6 hours and 40 minutes, starting just after 3pm PST. What you can see and for how long depends on what the sun’s doing in your region at that time, and also the weather. 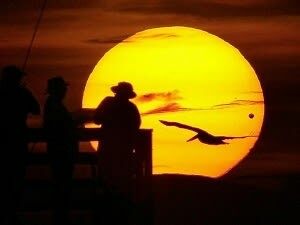 For us here in Los Angeles, we will see the start of the transit in the afternoon until the sun sets, which will be at precisely 8:02pm. Put Your Fresh Face Forward With A Makeover At Bluemercury! Party On The White House Lawn This Weekend...Kind Of!